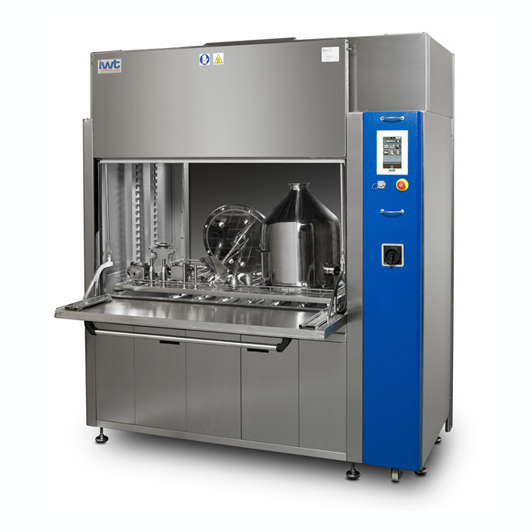 Whether you’re an API manufacturer, cosmetic developer, CMO (Contract Manufacturing Organization) or CRMO (Contract Research Manufacturing Organization); and developing small batches or large batches – it’s essential that all remnants of active ingredients are completely removed from your manufacturing equipment in order to prevent risk of cross-contamination. When GMPs are not properly followed, cross-contamination can occur among products manufactured at the same facility, leading to finished products with dangerous levels of other ingredients not intended to be there. How can you prevent this? Avoid cross-contamination and microbial threats of this type by ensuring your manufacturing and processing equipment is properly cleaned before the changeover of products, and utilize cleaning equipment such as those manufactured by IWT, which feature proper water and air handling systems to prevent the movement of particles and media from one product to the next. With a system such as this, not only will you achieve contaminant-free equipment and finished products, but also a reduction in cleaning time effectively leading to higher throughput and decreased costs. Click here for more product information on IWT washers, offered by STEQ America.